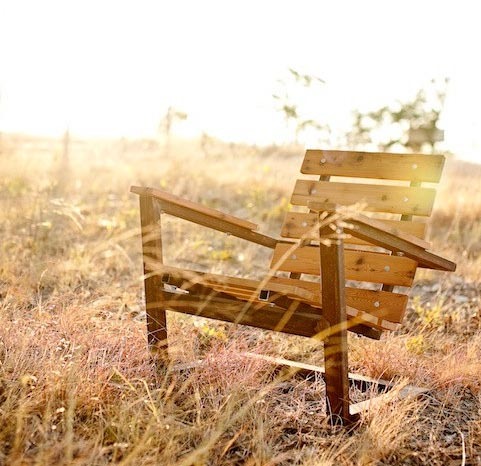 An original, well made and stylish piece of furniture makes a powerful statement. That's why all men who read Manly Monday need to pay close attention to the work of Tyson Pendergrass and Gable Bostic of Austin, Texas. 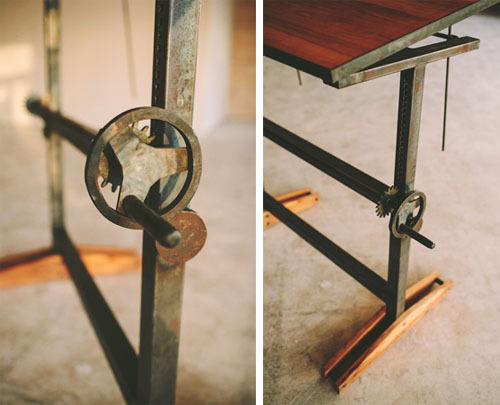 Tyson and Gable of Petrified Design create and craft furniture from refurbished materials. 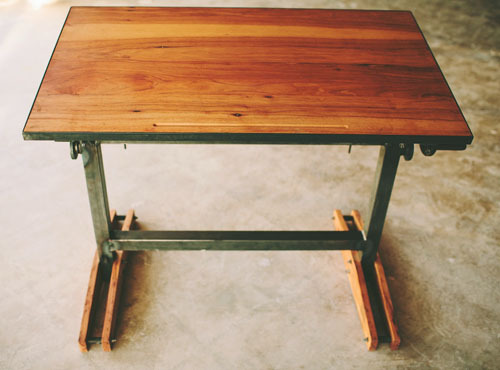 As Tyson shared, "Our pieces go great in anything from a studio loft to a cabin in the woods. 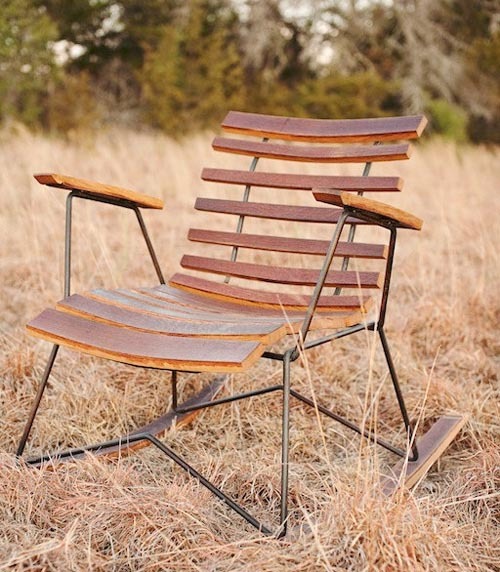 Each piece is clean and modern but at the same time, rustic and bold." 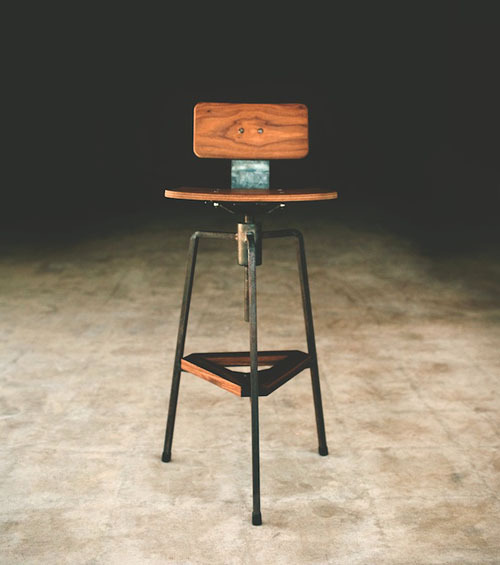 I particularly like the Tre Bar Stool, available in various woods including pecan, walnut, maple, cypress and cedar. 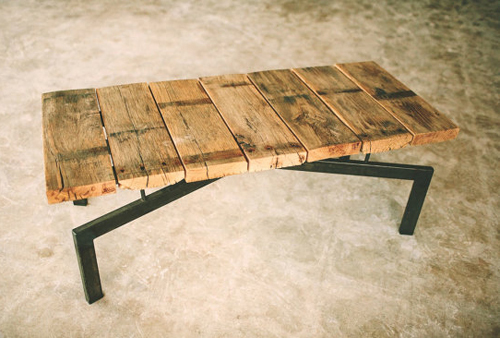 This is a great piece- the Gooseneck X coffee table or bench. The wood originally came from the platform of an old gooseneck trailer. 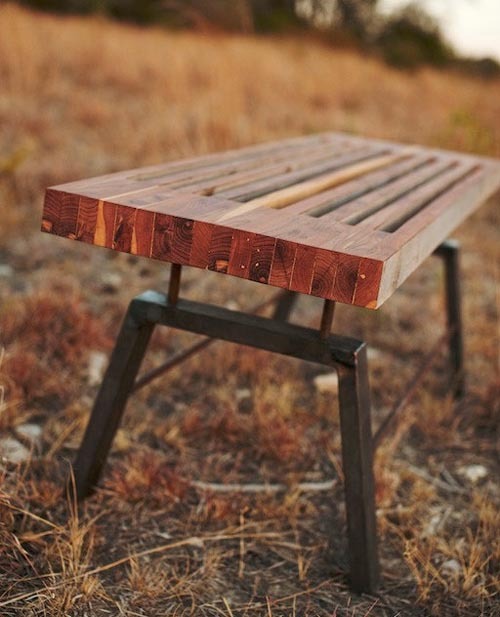 The JB Bench is made from square telephone poles the guys gathered from the Bostic Ranch in Lampasas, Texas. As stated on their site, "This aged pine has detail you can only find with 100 plus years of Texas sun." This gorgeous Plover Desk Lamp is made from black walnut. 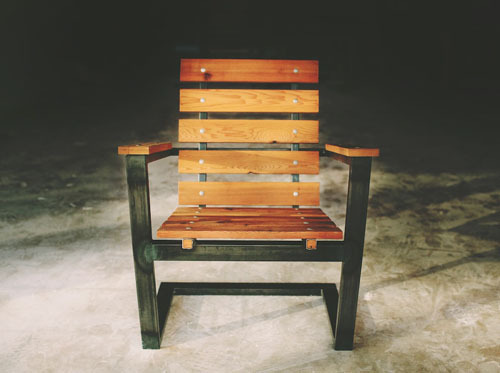 As Tyson states, it is "joined together by a cross joint and a steel base that brings out the natural tones of the wood while keeping it raw and organic." If you're interested in the Crosspatch desk, please contact Tyson or Gable directly.